Meizu might have released its metal version of the M2 Note, aptly-named Blue Charm Metal, and LeTV its aluminum-clad Le 1s yesterday, but Xiaomi isn't resting on the Redmi Note 2 laurels either, and is seemingly prepping a metal version of its popular midranger. 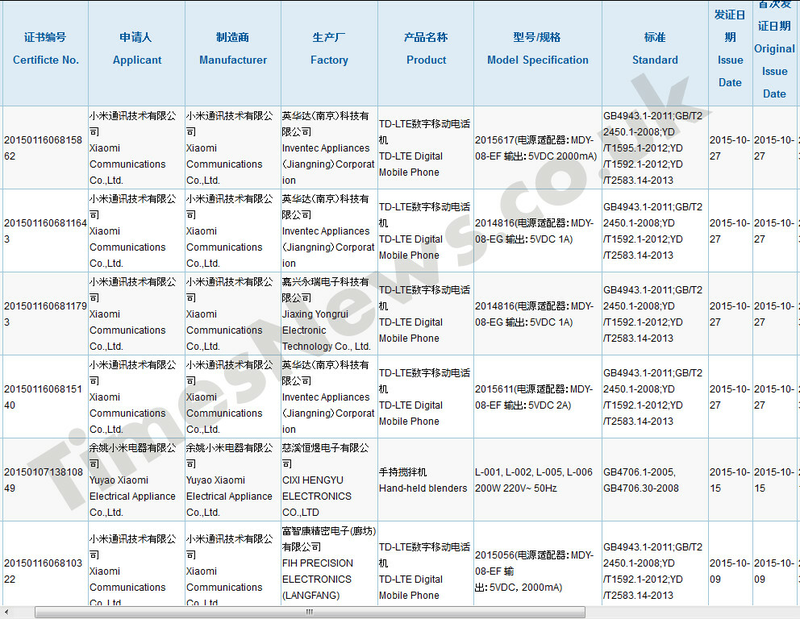 Tentatively dubbed Redmi Note 2 Pro, the phone has appeared in a certification body database in China, along with some other Xiaomi-made gear, like a handheld blender (yep, Xiaomi is a pretty diverse maker of stuff). 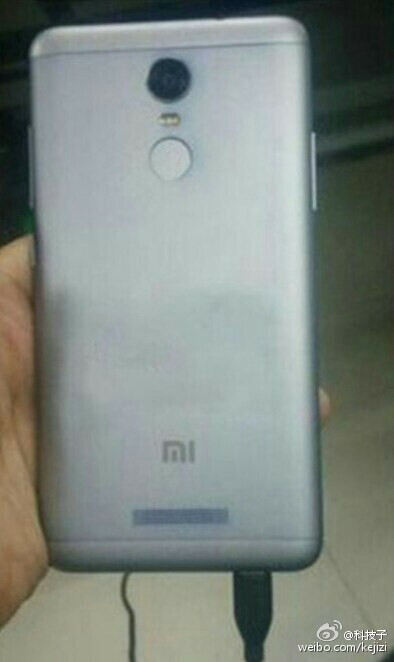 Xiaomi's metallic handset already leaked out in the alleged picture that you see here on the right. The Redmi Note 2 Pro is expected to have the same 5.5" 1080p display and Helio X10 chipset as the polycarbonate original, but should have a more upscale metal chassis, and some other improvements, like 32 GB of storage from the get-go, and a finger scanner on the back. Given the good impressions that the original Redmi Note 2 left us, we can't wait to put its metal-clad sibling through its paces as well, which should happen next month, hopefully alongside the Mi5, if Xiaomi finally decides to release a successor in its flagship series this year at all. This design is to familiar.